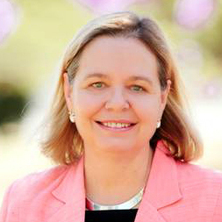 Associate Professor Ann Black researches in the field of comparative law and legal pluralism, with particular interest in the law and legal cultures of Asia and in Islamic law. She teaches two comparative law courses in the undergraduate program - Asian Legal Systems and Introduction to Islamic law - as well as in the substantive fields of criminal law and legal method. Associate Professor Black also teaches into and co-ordinates courses in the School's Master's program. She is a co-author with Gary Bell, of Law and Legal Institutions of Asia: Traditions, adaptations and innovations (Cambridge University Press, 2011) and Modern Perspectives on Islamic Law, with Hossein Esmaeili and Nadirsyah Hosen, (Edward Elgar, 2013). Associate Professor Black was the Deputy Director, Centre for Public, International and Comparative Law; Director, Post-Graduate Course Programs and the School's advisor to International students. Sadiq, Kerrie and Black, Ann (2012) Embracing Sharia-compliant products through regulatory amendment to achieve parity of treatment. Sydney Law Review, 34 1: 189-211. Journal Article: Replicating a 'model of mutual respect': could Singapore's legal pluralism work in Australia? Black, Ann (2012) Replicating a 'model of mutual respect': could Singapore's legal pluralism work in Australia?. Journal of Legal Pluralism and Unofficial Law, 65 65-102. The feasibility of legal pluralism in Australia's secular framework- would the introduction of Sharia Inheritance laws be a viable exception? Replicating a 'model of mutual respect': could Singapore's legal pluralism work in Australia? Black, Elizabeth A., R Woodgate, J Biggs and D Owens Legal Studies for Queensland Vol 1 5th ed. Brisbane: Legal Eagles publications, 2008. Black, Elizabeth A. Legal Solutions and Resources Manual 4th ed. ed. Indooroopilly, Brisbane: Legal Eagle Publications, 2003. Woodgate, R., Black, E. A., Biggs, J. and Owens, D. Legal Studies for Queensland 3rd ed. Indooroopilly, QLD: Legal Eagle Publications, 2002. Black, Ann (2018). Colonial legacies: family laws in Singapore and Australia. In Nadirsyah Hosen (Ed. ), Research handbook on Islamic law and society (pp. 13-47) Cheltenham, United Kingdom: Edward Elgar. Black, Ann and Black, Peter (2018). Mixed Blessings. Fatwas in the Age of Technology. In Branco, Patricia, Hosen, Nadirsyah, Leone, Massimo and Mohr, Richard (Ed. ), Tools of Meaning; Representation, Objects, and Agency in the Technologies of Law and Religion (pp. 239-264) Rome, Italy: Aracne. Black, Ann and Black, Peter (2017). Going global: Australia looks to internationalise legal education. In Andrew Harding, Jiaxiang Hu and Maartje de Visser (Ed. ), Legal education in Asia: from imitation to innovation (pp. 42-71) The Netherlands: Brill. Black, Ann (2016). Brunei (sultanate of Brunei Darussalam). In Gerhardt Robbers and W. Cole Durhan (Ed. ), Encyclopedia of law and religion (pp. 56-60) Leiden, Netherlands: Brill Nijhoff. Black, Ann (2016). Islamic exceptionalism: do the religious and legal imperatives of Islam necessitate special responses by legal regimes in secular nations. In Erich Kolig and Malcolm Voyce (Ed. ), Muslim integration: pluralism and multiculturalism in New Zealand and Australia (pp. 229-250) London, United Kingdom: Lexington Books. Black, Ann (2014). Can there be a compromise? Australia's state of confusion regarding shari'a family law. In Elisa Giunchi (Ed. ), Muslim family law in Western courts (pp. 149-167) Abingdon, Oxon, United Kingdom: Routledge. Black, Ann and Jung, Kwang-Soo (2014). When a revealed affair is a crime, but a hidden one is a romance: an overview of adultery law in the Republic of Korea. In Bill Atkin (Ed. ), The International Survey of Family Law (pp. 275-308) Bristol, United Kingdom: Jordon Publishing. Black, Ann (2010). In the shadow of our legal system: Shari'a in Australia. In Rex Ahdar and Nicholas Aroney (Ed. ), Shari'a in the West (pp. 239-254) Oxford, U.K.: Oxford University Press. Black, Ann (2010). Informed by ideology: A review of the court reforms in Brunei Darussalam. In Andrew Harding and Penelope (Pip) Nicholson (Ed. ), New courts in Asia (pp. 327-349) London, U.K.; New York, U.S.A.: Routledge. Ann Black (2009). Finding the Equilibrium for Dispute Resolution: How Brunei Darussalam Balances a British Legacy with Its Malay and Islamic Identity. In Joseph Liow and Nadirsyah Hosen (Ed. ), Islam in Southeast Asia 1st ed. (pp. 185-214) New York: Routledge. Black, E.A (2008). Criminal law. In Clive Turner (Ed. ), Australian Commercial Law 27th ed. (pp. 836-854) Sydney: Lawbook Co..
Black, Ann (2006). Constitution of Brunei Darussalam. In Gerhard Robbers (Ed. ), Encyclopedia of World Constitutions (pp. 1-1) New York, United States: Facts on File. Black, Ann (2006). Constitution of East Timor. In Gerhard Robbers (Ed. ), Encyclopedia of World Constitutions (pp. 1-1) New York, United States: Facts on File. Black, E. A. (2006). Criminal Law. In Clive Turner (Ed. ), Australian Commercial Law 26th ed. (pp. 826-837) Sydney, Australia: Thomson Lawbook Company. Black, Ann (2006). Islamization, modernity and the re-positioning of women in Brunei. In Amanda Whiting and Carolyn Evans (Ed. ), Mixed blessings: Law, religions, and women's rights in the Asia-pacific region (pp. 211-239) Leiden, Netherlands: Martinus Nijhoff Publisher. Black, E. A. (2005). Criminal Law. In Clive Turner (Ed. ), Australian Commercial Law 25th ed. (pp. 952-969) Pyrmont NSW: Lawbook Company. Black, Elizabeth Ann (2002). Brunei. In Herbert Kritzer (Ed. ), Legal Systems of the World: a Political. Social and Cultural Encyclopedia 1st ed. (pp. 199-205) Santa Barbara: ABC Clio. Black, Ann (2019) Cultural expertise in Australia: colonial laws, customs, and emergent legal pluralism. Studies in Law, Politics, and Society, 78 . Black, Ann (2018) ‘Cultural Expertise in Australia: colonial laws, customs, and emergent legal pluralism’. Studies in Law, Politics and Society, 78 135-157. Black, Ann (2017) Adaptations of Islamic family law for the Australian context. Australian Journal of Family Law, 159-179. Black, Ann and Sadiq, Kerrie (2011) Good and bad Sharia: Australia's mixed response to Islamic law. University of New South Wales Law Journal, 34 1: 383-412. Black, Ann (2010) Window into shariah family law. Part one: Aspects of marriage. Family Relationships Quarterly, 15 3-7. Black, Ann (2010) Legal recognition of Sharia Law: Is this the right direction for Australian family matters?. Family Matters, 84 64-69. Black, Ann (2010) Window into shariah family law. Part two: Aspects of divorce. Family Relationships Quarterly, 16 11-13. Black, Ann (2009) 'The Stronger Rule of the More Enlightened European': The consequences of colonialism on Dispute Resolution in the Sultanate of Brunei. Legal History, 13 1: 93-122. Black, Ann and Hosen, Nadirsyah (2009) Fatwas: Their role in contemporary secular Australia. Griffith Law Review, 18 2: 405-427. A Black (2008) Accommodating Shariah Law in Australia's Legal System. Alternative Law Journal, 33 4: 214-219. Black, Elizabeth A. (2008) Finding the Role for Shari'a Law in Post- Reformasi Indonesia. Lawasia Journal, 2008 165-180. Black, Ann (2008) Ideology and Law: The Impact of the MIB Ideology on Law and Dispute Resolution in the Sultanate of Brunei Darussalam. Asian Journal of Comparative Law, 3 1: 1-41. Black, Ann (2007) 'Globalisation and resistance: law reform in Asia since the crisis', by Christoph Antons and Volkmar Gessner (eds). Lawasia Journal, 2007 225-228. Black, Elizabeth A. (2007) Double Jeopardy: Why Several Common Law Countries Are Tinkering with One of the Laws Most Treasured Precepts. NJA Law Journal, 1 1: 121-144. Black, Ann and Hussain, Jamila (2006) Responding to the challenge of multiculturalism: Islamic law courses in law school curricula in Australasia. The Flinders Journal of Law Reform, 9 2: 205-226. Black, E A and Seop, (2006) The Blind Masseurs' Case. Lawasia Journal, 2006 249-256. Black, E A (2006) Women and Religion in the Legal System of Brunei Darussalam. Pandora's Box, 2006 14-31. Black, E.A. (2005) International Law and Religion: Survival or Extinction? Aministic Dispute Resolution in the Sultante of Brunei. Willamette Journal of International Law & Dispute Resolution, 13 1: 1-25. Black, E.A. (2005) Law, Medicine, Politics and the Media: Unravelling the Dr Death Inquiry. The Verdict, 11 15-20. Black, E. A. (2004) Beyond myths and misunderstanding: What consent to sexual acts really means. The Verdict, Spring 2004 7: 6-8. Black, Ann (2004) Islam: Its law and society. The University of Queensland Law Journal, 23 1: 265-267. Black, E. A. (2004) Islamic Law. The Verdict, Summer 2004 8: 18-21. Black, Ann (2003) Finding the equilibrium for dispute resolution: How Brunei Darussalam balances a British legacy with its Malay and Islamic identity. International Trade & Business Law Annual, 8 185-214. Black, Ann (2003) Spotlight on Double Jeopardy. The Verdict, 2: 3-5. Black, E. A. (2002) ADR in Brunei Darussalam: the meeting of three traditions. The ADR Bulletin, 4 8: 107-109. Black, E. A. (2002) Alternative dispute resolution in Brunei Darussalam: The blending of imported and traditional processes. Bond Law Review, 13 2: 305-334. Black, Ann (2002) Country Profile: Brunei Darussalam Legal Systems of the World: a Political, Social and Cultural Encyclopedia. ABC-CLIO, ABC-CLIO . Black, E. A. (1999) Book Review: Ford's principles of corporations law. International Trade & Business Law Annual, 4 4: 313-314. Black, E. A. (1999) Negotiating with the Chinese. International Trade & Business Law Annual, 4 303-304. Black, Elizabeth Ann (1997) Corporate and Commercial Law: Modern Developments. International Trade and Business Law Annual, 3 . Black, Elizabeth Ann (1997) Courts of Final Jurisdiction: the Mason Court in Australia. International Trade and Business Law Annual, 3 . Ann Black and N Spegal (1997) Revamping the Tutorial. Southern Cross University Law Review, 2005 1-1. Black, Ann (2019). Brunei Darussalam: undertaking a bold experiment in criminal law. In: National Criminal Law of ASEAN Countries, Bangkok, Chulalongkorn University, (). 21 May 2019. Black, Ann (2019). Can I have a fatwa? : uses and abuses of fatwa in an electronic and global age. In: Global Law Conference: CLE, Paris, France, (). 3-5 January 2019. Black, Elizabeth Ann (2018). At the Crossroads: Islam, law & tolerance in SE Asia. In: Global Law Conference, CLE, Paris, (). 4th- 5th January, 2018. Law, religion and tolerance in Southeast Asia: at the crossroads? Black, Ann (2018). Law, religion and tolerance in Southeast Asia: at the crossroads?. In: Britain Pacific Conference, London, United Kingdom, (). 14-21 December 2018. Can I have a fatwa on that? Black, Elizabeth Ann (2017). Can I have a fatwa on that?. In: Global Law Conference, CLE, Paris, (). 5-6 January. Black, Elizabeth Ann (2016). Cultural expertise in Australia: Colonial laws, customs, and emergent legal pluralism. In: Cultural Expertise in Socio-Legal Studies and History Conference, Oxford University, Oxford, UK, (). 15-16th December 2016. Black, Elizabeth Ann (2016). Mixed Blessings: Fatwas in the Age of Technology. In: International Symposium on Technologies of Law and Religion: Representation, Objects and Agency, Monash University Prato Centre, Prato, Italy, (). 13-15 June 2016. Black, Elizabeth Ann (2016). Pluralism under threat: Brunei and beyond. In: Transacting with the Asia-Pacific: Theory and Practice presented by the Asia-Pacific Legal Institute of Australia, Brisbane, QLD, Australia, (). 30 September 2016. Australia: legal pluralism, dualism or keeping 'One Law For All'? Black, Elizabeth Ann (2015). Australia: legal pluralism, dualism or keeping 'One Law For All'?. In: Shari'a, culture and legal pluralism international symposium, Sydney, Australia, (). 14-15 September 2015. Black, Elizabeth Ann (2015). Consent: an Islamic Perspective. In: Medico-Legal Section of the Australian & International ENT Conference, Canazei, Italy, (). 18-23 January 2015. Black, Elizabeth Ann (2015). Syariah Criminal Law in a Religiously Diverse Nation. In: 12th [ASLI] Asia Law Institute Conference, Taipei, Taiwan, (). 21 -22 May 2015. The Way Forward: Legal Pluralism, Dualism or Keeping 'One Law for All'? Black, Elizabeth Ann (2015). The Way Forward: Legal Pluralism, Dualism or Keeping 'One Law for All'?. In: Religion, Culture and Legal Pluralism Symposium, University of Western Sydney, (). 14-15 September 2015. Black, Elizabeth Ann (2012). Can Islamic family law be reconciled in non-Muslim countries? Challenges and solutions. In: Shariah Law Symposium, Brisbane, Australia, (). 5 December 2012. Black, Elizabeth Ann (2012). Legal pluralism 'Down Under'. In: LAWASIA Secretariat, 4th LAWASIA Family Law Conference Proceedings: The New Global Family. 4th LAWASIA Family Law Conference, Penang, Malaysia, (). 13-14 July 2012. A System of Mutual Respect: - Would Singapore's Model of Legal Pluralism Work in Australia? Black, Elizabeth Ann (2011). A System of Mutual Respect: - Would Singapore's Model of Legal Pluralism Work in Australia?. In: Asian Law Institute Seminar Series, National University of Singapore, (). September 2011. Black, Elizabeth Ann (2011). Beating a Different Drum: Islam, Politics and Women's Rights in Brunei Darussalam. In: Spirited Voices from the Muslim World: Islam, Democracy and Gender Rights, The University of Sydney, (). April 2011. Black, Elizabeth Ann (2011). Maintaining the Right to Be Different:: Situating Islamic Family Law Within Secular Common Law Legal Systems. In: LAWASIA, Seoul, South Korea, (). October 2011. Black, Elizabeth Ann (2011). Ritual, Ceremony and Symbolism in Murder Trials: a Comparative Analysis of Islamic Law and the Common Law. In: Ceremonies of Law, Woolongong, (). December 2011. Black, Elizabeth A. (2008). Muftis and Fatawa, Qadis and Qada. In: Supreme Court of Queensland Judge's Conference 2008. Supreme Court of Queensland Judge's Conference 2008, Customs House Brisbane, (). 11th August 2008. Black, Elizabeth Ann (2008). Muftis and Fatawa, Qadis and Qada. In: Supreme Court of Queensland Judge's Conference 2008, Customs House, Brisbane, (). 11 August 2008. Black, E. A. (2007). Encountering Shariah Law. In: Australian Institute of International Affairs (AIIA), Brisbane, (). 13 August 2007. Black, E. A. (2007). Giving limited recognition to Shariah Law in Australia: An appraisal. In: 20th Biennial LawAsia Conference. 20th Biennial LawAsia Conference, Hong Kong, (). 5-8 June 2007. Black, Ann (2007). Informed by ideology: A review of the court reforms in Brunei Darussalam. In: Proceedings of: New Courts in the Asia-Pacific Region Conference. New Courts in the Asia-Pacific Region Conference, Victoria, Canada, (not found-not found). 13-15 July 2007. Black, E. A. (1999). Cross-cultural dimensions in student perceptions of teaching of law. In: Topwards the 21st Century: Law in the Asia Pacific. 16th Biennial Lawasia Conference, Hotel Lotte, Seoul, Korea, (1-11). 7-11 September, 1999. Black, E. A. (1999). Testing the Water: Reflecting on a Trial of Assessable Group Work for First Year Law Students. In: Effective Courses/Effective Teaching at University. Teaching & Education Development Institute Cong., Women's College,The University of Queensland, (). 1st to 2nd November, 1999. Black, Ann (2012). Lessons from Singapore: an evaluation of the Singapore model of legal pluralism. Working paper series 026, Asian Law Institute (ASLI). Black, E. A. (2002). Dispute Resolution in Brunei Darussalam: the blending of acquired ideas with tradition Professional Doctorate, , Bond University.